I invite you to walk with me through the history of the Finitec Group. As you may have already come to appreciate , the wood flooring industry has experienced many transitions in the last 25 yrs. Back then a professional in the industry would have been using high V.O.C. (Volatile Organic Compounds) finishes composed of Lacquer, Polyurethane , Moisture Cure Urethanes, etc. The explosive nature of the finish and the dangerous VOC ‘s made for many challenges. Water Borne Finishes were too inconsistent and hadn’t really met the industries needs. In 1993, an innovative flooring specialist Mr. Raynald Rioux was determined to change the common conception of waterbased coatings. He had a vision that in time low V.O.C. water based coatings would address the flooring needs and make for a safer working environment, better for the professional working with the coatings as well as a better living environment for the consumer. 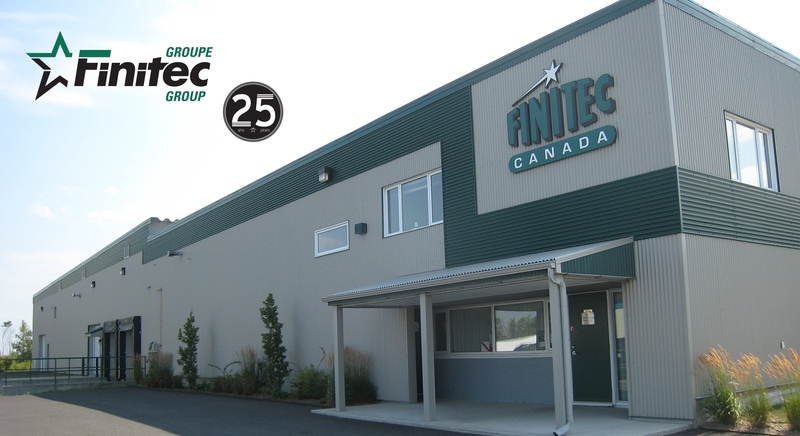 Therefore in August 1993 Mr. Rioux registered the name: Finitec Hardwood Products inc.. His short term plan involved importing waterbased coatings from the States in 200L barrels and then in a controlled environment transferring this finish into more reasonable easy to use containers. Although the growth at first was slow partly due to the mentality of his competition and client base, his dedication to this program pushed him to continue to evolve. Soon Chemists were taking his dream to reality and Raw materials were replacing imported finishes. The manufacturing of Waterbased coatings began. The development of a waterbased product line that would stand up to the criticism of the old finish mentality would require years of tedious chemistry and trial and error. Nevertheless our mentor Raynald Rioux would stop at nothing to ensure that we today would have a Canadian manufacturer devoted solely to the manufacturing of professional waterbased finishes. Starting from one popular coating the Finitec 3000, which continues to be a big seller, he has taken the Finitec line to include various different coatings to address every need in the market as well as accessories including an innovative cleaning system. The some 30 members of the finitec family (employees) would like to take this moment to thank Mr. Raynald Rioux for his vision and hard work to help the waterbased world evolve into the success it is today. Stay tuned for further developements and follow us on Social Medias to learn more on Finitec Group’s history since the last 25 years!